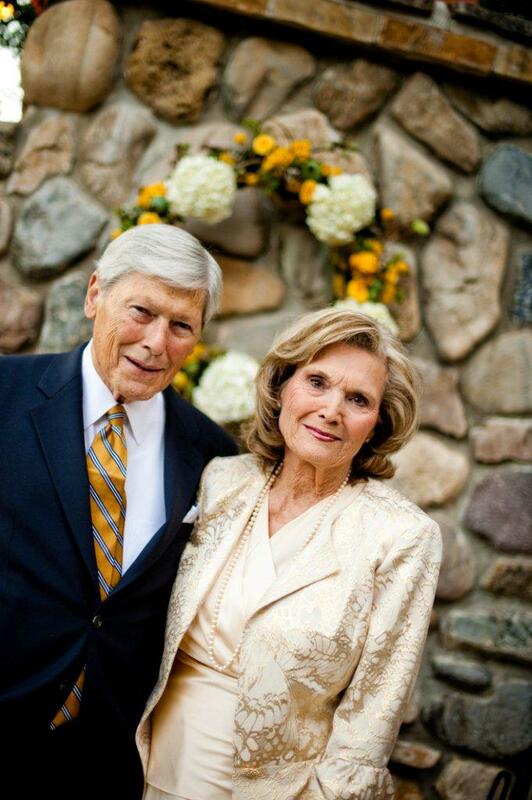 We are shocked and saddened at the loss of our parents who were so loved by their family and community. We ask that our privacy is respected as we are coming to terms with these events. We are shocked and devestated by the news about Larry and Glenna. Over the 15+ years we've known them they have become our family as well. The long talks in the backyard, the debates around the dinner table and, most importantly, the love shared by us and our children can never be taken. We love them with all of our heart and there is no limit to the profound sorrow we feel for your loss. You all are so important to us, sisters, brothers, friends. We wish there was more that we could do, more that we could say, something we could bring forward to assuage your dispair. All we have to offer is love and compassion. Please know that we think of you all constantly and will do anything you need. Your parents will be missed far and wide. OUR PRAYERS AND DEEPEST SYMPATHY TO THE SHAPIRO FAMILY OVER THIS TRAGIC LOSS. My heart goes out to the family. I knew Glenna through the Kidney Foundation. She was there in 1986 when I first went on dialysis. Subsequently, I was transplanted in 1987. I attribute much of my medical and personal success to the AKF's mission. Glenna and Lawrence will be sorely missed in the community. God Bless your souls. I have very fond memories of my chilhood and times spent with your family.. I am so terribly sorry over this loss, it is senseless and so surprising. Glenna and Larry were both such warm, compassionate, and committed members of the community. 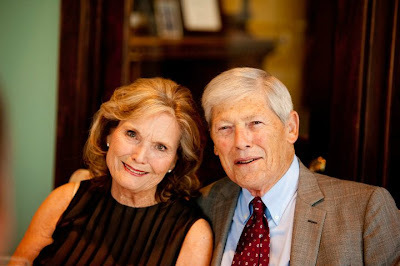 Even after Glenna retired from the Foundation, she and her husband appeared at every event, giving up countless hours to support the organization. And, they were involved in so many other philanthropic activities in the community. Such passion is hard to come by. It is hard to imagine a world where this horrible event has come to pass. I am Yasmina Katsulis, PhD, wife of the current CEO of the Kidney Foundation. I know that they were devastated to hear the news, and I hope that they will be able to be of service to you during this difficult time. I just wanted to express my sincerest sympathies, personally. God be with you. I don't know if there was a time that I didn't know the Shapiro family. I remember being in awe of Glenna as a young child and young adult growing up as we attended the same church. She was so kind and loving. She made everyone around her feel warm and loved. I don't know how she did it; she was amazing. I didn't know Larry very well, but I knew they had a great marriage and were an adorable couple. 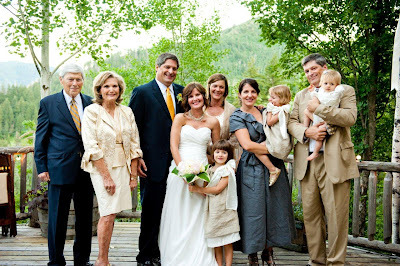 I loved looking at the recent family photos of Steven's wedding on Facebook, and thought how good Glenna and Larry looked... How beautiful the whole family looked, how quickly time flies, and how we've all grown up and have kids of our own. I literally burst into tears when I found out this evening of their passing. I can't even begin to express how sorry I am for your loss. My heart and love goes out to each and every single member of the Shapiro family. I wish I could say something profound and deeply meaningful, but all I have to offer is my love and to let you know that my heart and thoughts are with you. I know for certain that we never lose the people we love, even to death. They continue to participate in every act, thought and decision we make. Their love leaves an indelible imprint in our memories. We find comfort in knowing that our lives have been enriched by having shared their love. Words seem inadequate to express the sadness we feel about the loss of Larry and Glenna. I didn't know your parents, but I know Steve and David through my work with the Utah State Bar. I also grew up with Anneliese. My parents, John and Suzi Nielsen, told me today of the tragedy involving your family. Please know that I am heartsick for all of you during this horrific time. What a shocking story and such a terrible tragedy. I am thinking of you and will keep you all in my prayers. May you have comfort and peace at this very difficult time. Words do seem so inadequate at a time like this. I have such fond memories of Glenna since coming to the Valley in 1984. She welcomed me warmly to the Arizona Kidney Foundation Board, a true leader, dedicated to such a worthy cause, a model of commitment and grace. She was kind, generous, sensitive, intelligent. Larry and Glenna were a special couple, a joy to know. My thoughts and prayers go out to family and friends of Larry and Glenna. They will be fondly remembered. Our love and support go with you as you carry this burden. May you find the answers you seek and are able to soon find the peace that heals the soul. We love you and you are in our thoughts and prayers. I am another daughter of John and Suzi Nielsen. Please know how sorry I am for your loss. I can't imagine what you are going through. Please know that there are many of us who are praying for you and your family at this difficult time. You have been in our thoughts and prayers constantly since we heard the tragic news of your parents passing. Although we only interacted a handful of times with your parents, their class and dignity were constantly apparent. We love you and mourn your loss. I can't begin to tell you all how devastated I am to hear about this tragic loss of your parents. I can't hold back my tears of pain and wish this was all a dream. But, I know Glenna would have wanted me and the rest of us to be strong, hold on to the memories she shared. I worked with Glenna for about 8 years and all I can think of is how WONDERFUL she is and will always have a place in my heart. It was such a pleasure to have worked with her. I will never forget her bright smile and will miss all those wonderful stories she had of her children,Larry and of course her precious grandchildren. Larry & Glenna will be missed dearly by many many friends, family, and the community. What great people they were and how much love they had for one another. Glenna I wish I could call you to say "THANK YOU" for giving me a chance to work with the Kidney Foundation and for putting me under your wing. I will never forget your love, dedication, hard work, and friendship. May god be with you all. Love you always Glenna & Larry. Glenna loved her children and lived to enjoy those three little granddaughters that they waited so long for! She and I were just talking about them a couple weeks ago at church. I feel like I did on 9-11...an overwhelming sadness at the senselessness of this act. I didn't know your father, but I've known your mother for over 24 years. She was the kindest and most serene lady I've ever known! Something in her voice always made me feel peaceful and cared about. A memory that I will treasure is how she would always reach out and touch my arm so softly and delicately every time we saw each other. Hugs and prayers for all of you! PS I loved her stories of the "Twin's Escapades"! What an extraordinary loss of extraordinary people. Individually, they were amazing people. Great people that just did really good things all the time. They had such a positive impact just on my life, and I am so grateful. I never would have considered medicine for a career without Larry's example and their encouragement. But it was their example of marriage that I have always held in highest regard and have set as the bar for me. Their deep, true love and respect for one another, and enjoyment of each other and their family. It was so inspiring. Steven, David and Susan, I am beyond sorry for this painful loss. I wish I could do something besides just pray for y'all. Please know that we love you and are praying for you. It's hard for me to know what to say at this moment, but I do know that I remember many great times gossiping in our pilates class together. Your parents were generous of spirit, in all things. I never remember your mother refusing to try any new adventure. I have always admired your family for its closeness and the warmth you have so clearly shared. Please know that you are in our thoughts. I never had the pleasure of knowing Lawrence and Glenna, but I know their daughter, Susan. Susan spoke often and fondly of her parents. I could sense the tremendous amount of love and admiration she had for them. As I write this, an overwhelming sadness is coming over me. I'm shocked, confused and at loss for words. To Susan, her brothers and their family and everyone close to them, I'm so sorry for your loss. I hope that the love and support from your friends, family and community help in coping, healing and finding answers and closure. I was saddened to hear of the loss of your parents. I use to work for your father's father at National Metals Company in the '70's. Your father use to come into the office and he was always so kind and polite to each and everyone of us; and always had a kind word and smile on his face. Your mother came in one day when she had been appointed to her position at the Arizona Kidney Foundation and she was so thrilled. I ran into your father several years ago and he talked to me about his fond memories of NMC and the people who had worked there. Even though I don't know your family personally, please know that my thoughts and prayers are with you and I pray for strength and peace in your hearts. Our hearts go out to you.....please know that we are thinking about you, and praying that you will feel the support of all those who love you, and love your parents. What a beautiful family.....what meaningful contributions from lives so well lived....The Shapiros leave behind a wonderful legacy in each one of you. I never met your parents except through talking with Susan, now I understand where her kindness come from, loving and accomplished parents. I was shocked to hear the news and my heart and prayers are with you all. We have lost two remarkable pillars of our community with the deaths of Glenna and Larry! Sam and I had many memorable times with them,their 50th anniversary party being at the top of the list! Their kindness and devotion to others was more than exceptional! God bless you all & I pray that the guilty are brought to justice swiftly. I did not know your parents but I can tell by viewing the photos on this site that they deeply loved their family. They were obviously wonderful people that helped to make this world a better place. Since hearing about Mr. and Mrs. Shapiro I have carried a heavy heart for your family's heartbreaking loss. I just can't even imagine. Please know that you are in the prayers of many like me who are not previously acquainted with your family. God holds a special place for them for all the good they have done for others. Our thoughts have been with you and your family since we heard of your tragic loss. We want you to know of our love and concern and hope you find some comfort in the many people who admire and love your parents and family. Glenna and Larry's children certainly stand as a tribute to their goodness and generosity. A relatively new employee to HSAG, I did not experience the privilege of knowing Dr. Shapiro personally. I do know that his wife and he must have been wonderful people because in speaking with coworkers who did know them, the words "integrity" and "kindness" were repeated often in describing them. God bless your family as you mourn such a monumental loss. To the Shapiro children. I am so very sorry for this horrible crime. May God give you peace and comfort at your time of need. Ines Clark Sterling - Wasatch 8th. Ward. Our thoughts and prayers go out to your entire family during this difficult time. I learned of this on FoxNews.com...Please accept our deepest and most sincere sympathy...This is such a tragedy. From looking at these pictures and reading all the comments you all must have such wonderful memories of two exceptional parents. They obviously made an impression on everyone they came in contact with. We have to remember our loved ones, by all the great memories they leave with us. We will certainly add your entire family to our prayers and ask God to wrap his arms around each of you, to comfort you, and find some kind of peace. I am so sorry to hear this. What horrible people would do this. I don't know your family but heard about this on the news and am just devastated. We will pray for you and your family for strength. Your Parents will be missed by many. Their kind generosity was felt literally by thousands. No words will replace any moment with them, but words/stories will keep their memory alive. Like many, I knew Dr. Shapiro through National Metals Company. Barry and Larry, quite the team! As Judy (Morris) Jankowski mentioned in the '70s... well I was there in the 90's... Dr. Shapiro was an inquisitive, serious man who and along with his wife Glenna, showed caring and kindness always. I did not know of your lovely family until I saw the article on FOX news. This website is such a wonderful tribute especially all the comments. Without it your parents might be just another statistic to those who didn't know them. What a blessing that so many loved them and can share your loss. Although I do not know your family...I am just devastated over this! I think of my own retired elderly parents and this story has me in tears! Such sick minds in this world! This is a wonderful tribute to your parents and family. I hope you one day find peace with this horrible tragedy. May there be a speedy resolution with the one/ones responsible! As a patient of Dr. Shapiro before he retired, I can say I never met a nicer man and a more considerate, humorous doctor. So sad for the family. When I think of your dad & mom 2 words come to mind, strength & grace. I remember when you all had a baby shower for Maddie many moons ago, the warmth of your family made such an inspirational impact on how I wanted to live my life! I would see your mom many times over the years, usually at the grocery store; she would light up when sharing her updates of you, your brothers & beautiful grand babies. I am deeply sad & terribly sorry for your loss. The world will never be the same! My heart & prayers are with you. Much love to you and your dear family. I do not know your family. I was so deeply saddened to hear of such a terrible crime. I can tell from the pictures and statements that they were lovely and sharing people. May they rest in peace. I hope that the people responsible for this terrible crime be found and may they suffer for the rest of their lives. Utah's desert blossomed like a rose upon the arrival of Glenna and Larry. Our gentleman and his adventurous elegant mate, devotion so rare. They loved us like family, as they did everyone they encountered. We are changed forever. A finer legacy who would hope for, goodness to others, quiet strength, genuine love of fellowman, true to traditions, honor of heritage, and that understated smile that moved mountains. We love you always and cherish those you cherished. I also do not now the family. But as the other comments suggested..I too am very saddened by the crime. I can't imagine the pain the family is going through. My prayers are with the Shapiro family and hope those responsible are brought to justice. We were honored and privileged to have known Glenna and Larry. Our deepest sympathy is extended to the entire family. god bless you family in the days to come and my condolences to the family. I remain heart-broken over the loss of Larry and Glenna. I know this must still be so difficult, not only for each of you, but also for the other survivors, including your children, aunts, and uncles. Even though a few months have passed, I find that you are all in my thoughts on a daily basis. My best wishes to all.